booth in Hall 3, Stand 3K10. wealth of other applications—all from a single system. 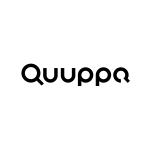 Bluetooth tags from Quuppa Ecosystem partners. or join us in the Orange booth at Mobile World Congress 2019.